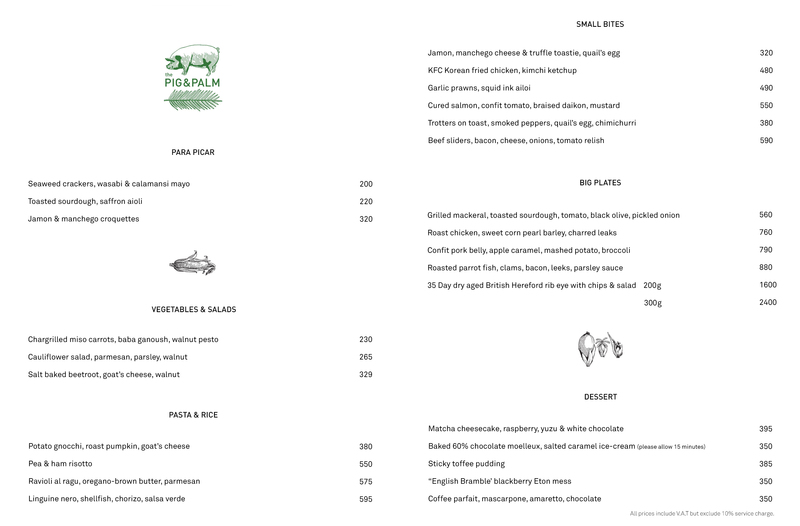 The Pig & Palm | The Pig & Palm is Jason and Irha Atherton's newest restaurant in Ceby, Philippines. Serving a modern Spanish tapas menu with a focus on pork. 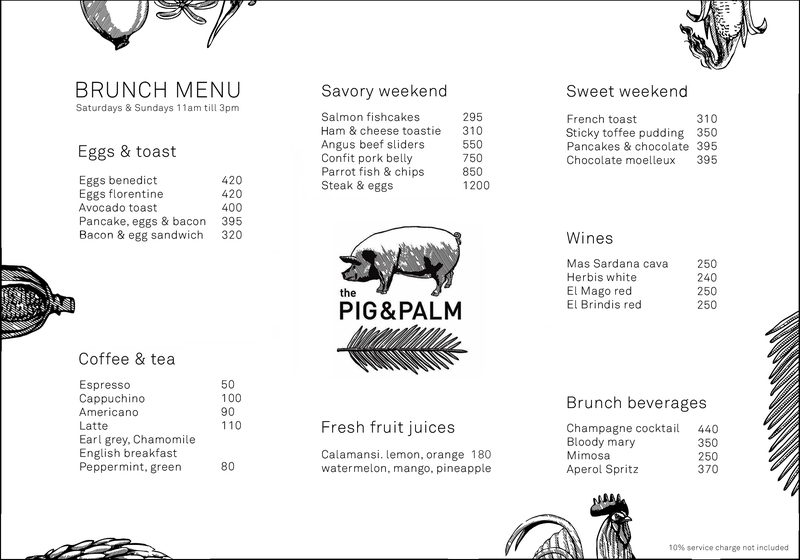 The Pig & Palm is the first restaurant in the Philippines from Michelin-starred British chef Jason Atherton and his wife Irha Atherton. Located in Irha’s hometown of Cebu, the restaurant offers a modern European sharing style menu with a focus on pork dishes. An adjoining bar serves innovative cocktails and bar snacks. The Pig & Palm is the 16th restaurant worldwide for the Athertons’ critically acclaimed restaurant group, The Social Company, which holds four Michelin stars and spans London, New York, Hong Kong, Shanghai, Dubai and Sydney. The restaurant has been created in collaboration with their business partners, Cebu-based property developers Chris and Carla McKowen and architect Lyndon Neri, with the aim of bringing a taste of Spanish gastronomy to Cebu in an informal, contemporary environment. Together, Jason Atherton and head chef Karl Emsen have developed a menu of modern tapas-style sharing dishes, interpreted using the best of Filipino produce. As suggested by the restaurant’s name, dishes celebrate Cebu’s reputation as a destination for pork, with a focus on pig-based plates sourced from local farms in Cebu. In addition, a brunch menu is served from 8am to 3pm, with a range of inventive egg-based dishes. With a reputation for award-winning and innovative cocktail bars, group bar executive Jamie Jones has created a drinks menu for The Pig & Palm’s bar that blends traditional Filipino fruits and flavors with British cocktail styles. Designed by Shanghai-based studio Neri & Hu (of whom business partner and Cebu native Lyndon Neri is a founder), the design concept takes cues from Cebu’s Spanish colonial past, drawing inspiration from nearby historic monument, Fort San Pedro. In the main dining area, patterned grey bricks flow from the outside area to within.